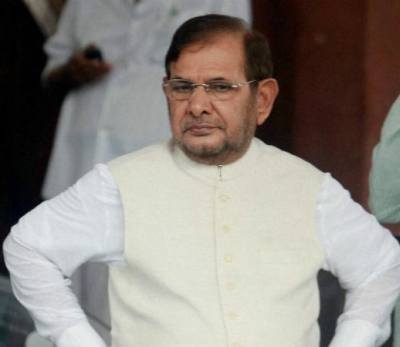 Senior politician Sharad Yadav sparked a controversy after he said that Rajasthan Chief Minister Vasundhara Raje should take rest as she has gained weight. Later, while clarifying his remarks, Yadav said that it was a mere 'joke' and his intentions were not to hurt the Bharatiya Janata Party leader. However, Yadav clarified while talking to ANI that his comment was meant to be a joke. "It was a joke. I have known her for a long time. It was in no manner a derogatory remark. I didn't say it to hurt her. "When I met her then also I told her that she is gaining weight," he said. Meanwhile, Yadav has criticised the BJP for 'creating tensions between the people'. When asked about the Bulandshahr violence, Yadav said, "Bajrang Dal and Vishwa Hindu Parishad people are responsible for what happened in Bulandshr. Now the government is trying to save them. "They are trying to create tensions between the people. They have lynched the judiciary. First, they do all this and then say that strict actions will be taken. "Uttar Pradesh Chief Minister Yogi Adityanath is saying nothing about the death of the police inspector, he is rather talking about cows." Police inspector Subodh Kumar was killed in mob violence in Bulandshahr on December 3 after carcasses of allegedly 25 cattle were found in the forests close to a police post, with cow vigilantes alleging that those were the remains of cows slaughtered illegally.